Greetings decor8 readers! 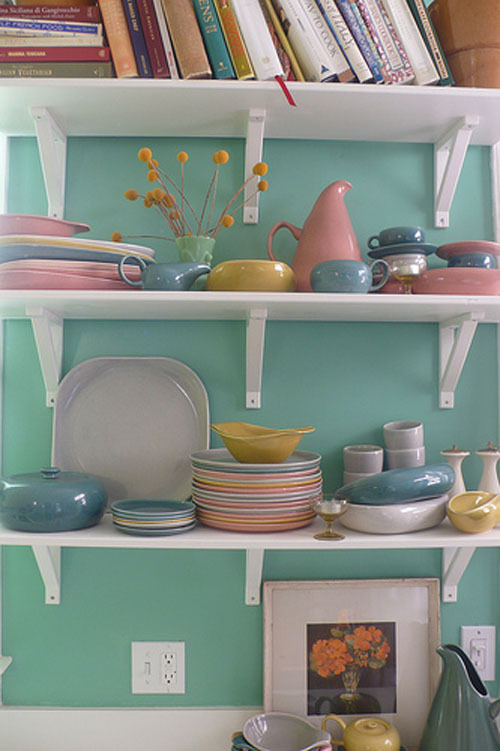 I'm Heather Spriggs Thompson and Holly has graciously asked me to present Hunting and Gathering, my weekly post over on Gathering Spriggs, which features vintage collectibles in modern spaces. It is such an honor to share some of my finds with you today. 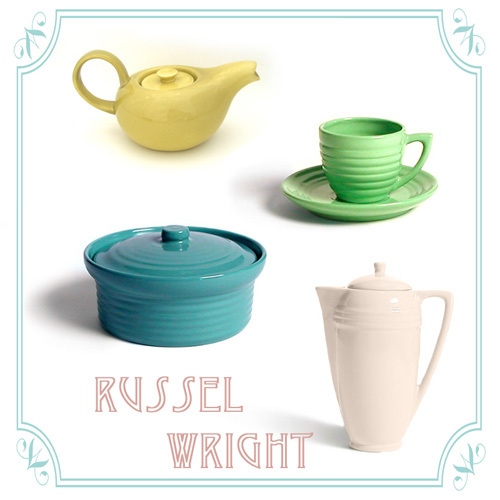 Without further ado, allow me to introduce the fabulous Modern era designer, Russel Wright. 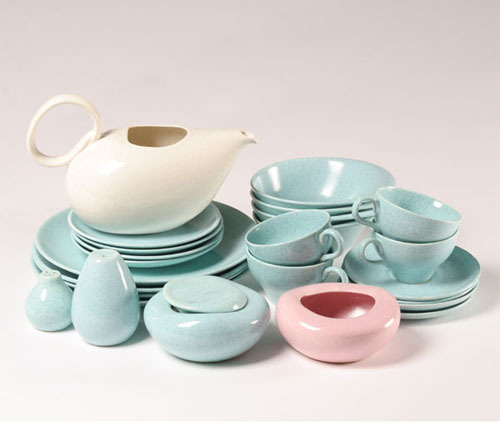 Although I adore his warm pastel color palette and sculptural lines, what I love the most about Wright, is his concept of bringing vogue design into everyday living of the 1940's-60's. Although some of his melmac (melamine resin) pieces are quite affordable he also created high-end designs for the serious collector. 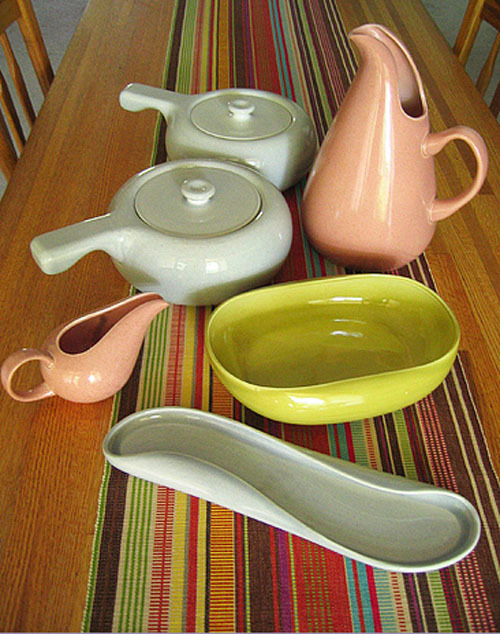 You may not have much luck finding Russel Wright wares at thrift stores anymore, but you can purchase recreations of his famed American Modern collection at Bauer Pottery. left top: Modern Nest, top right: Karapegg, bottom left: Back Home Again Vintage, bottom right: Artnet. 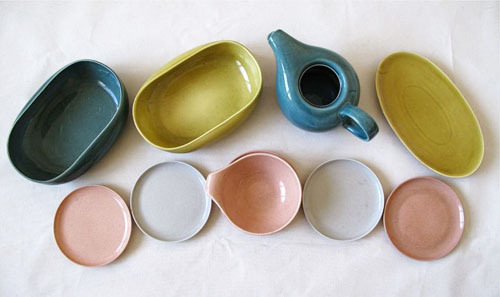 I'm craving one of his curvilinear pink pitchers or teal tea pots! 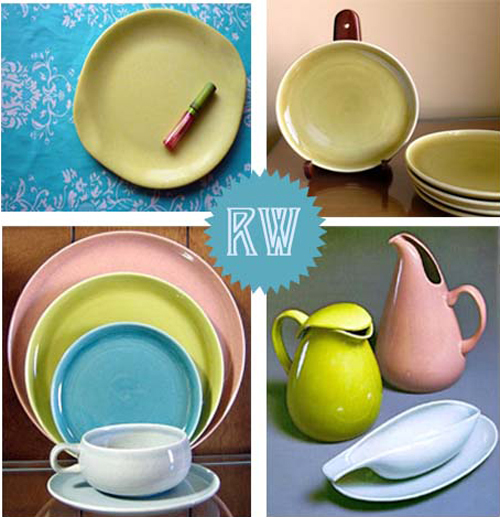 They are retro cool yet still refined and sophisticated. 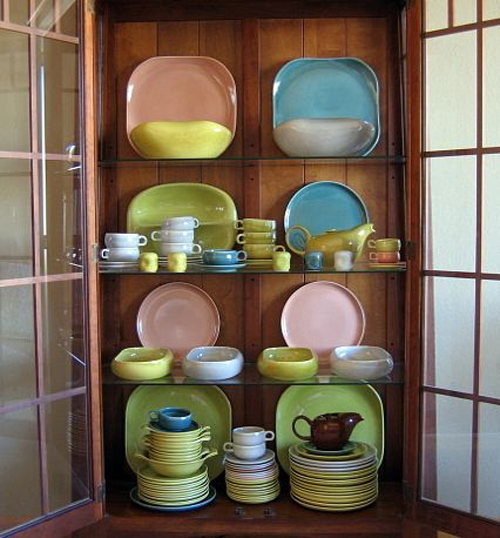 I think I will design my new kitchen around his American Modern collection.